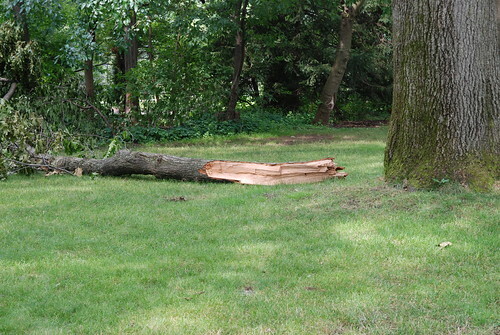 While we were gone, a branch fell from one of our oak trees. It wasn't a small branch. It was a huge branch. So big, so heavy that we couldn't move it. Paul broke out the Husqvarna and started to work. 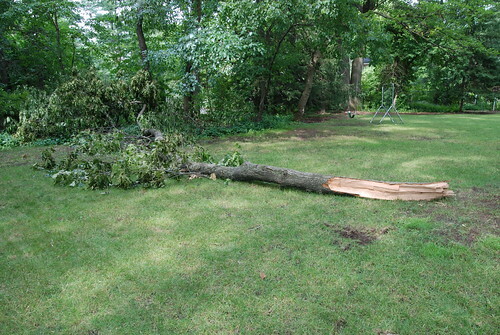 This is the second time that we have had a large branch fall off that tree. The first time a branch fell, we were in Chicago when Paul took command for his final tour. 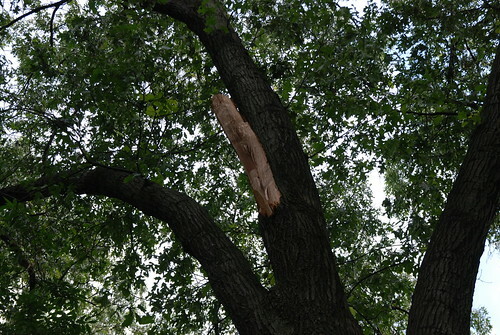 We were so fortunate that the branch didn't hit the house - it came within a few feet of the bay window. 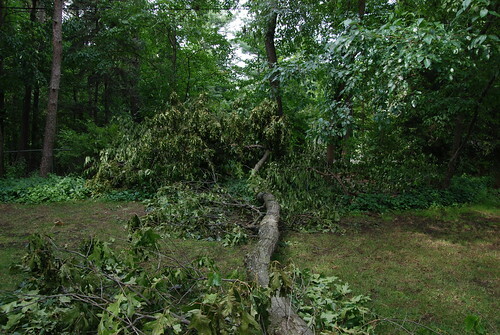 This branch fell away from the house and came within inches of the back fence and power lines. Whew. I hope we are done with falling trees.